Brand identity setting allows to customize your Brand Logo, Social links and Footer text. These settings will be common across all WooCommerce Emails. 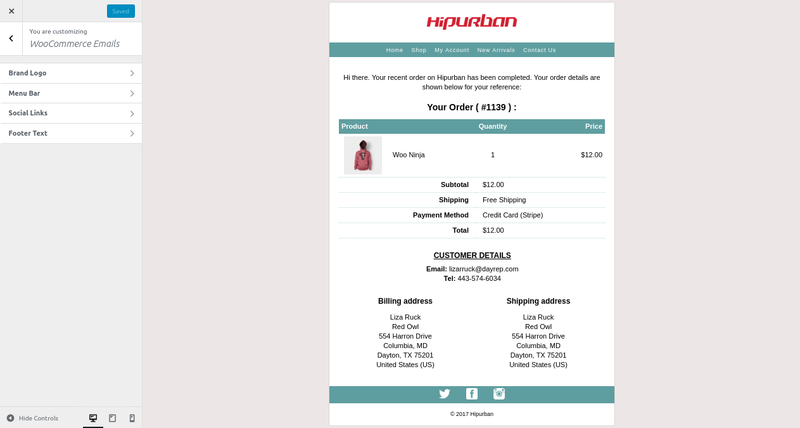 Brand Logo section allows you to add logo i.e header image to your WooCommerce Emails. Menu section gives you the option add up to 5 custom menu links. Social Links section gives you the option to add Twitter, Facebook and Instagram link to your email. Footer text section allows you to add footer text to your emails. You can add custom html in the footer text field to make it look more attractive.